We are one of the well-known names in the market involved in manufacturing and supplying Sec-pentyl. Our range includes Sec-pentyl acetate, Sec-pentyl alcohol, Sec-pentyl benzene, Sec-pentyl bromide and Sec-pentyl chloride. These are formulated at our advanced manufacturing unit under the strict supervision of our chemical experts. Our clients can avail our range in bulk quantity. 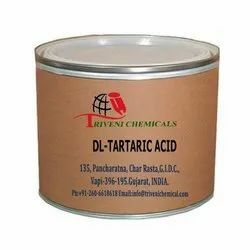 DL-Tartaric Acid is Solid. Storage: Keep container tightly closed. Keep container in a cool, well-ventilated area. Looking for Dicarboxylic Acids ?